Four months in Kentucky Bourbon barrels have transported this formidable ale to a place beyond the event horizon. 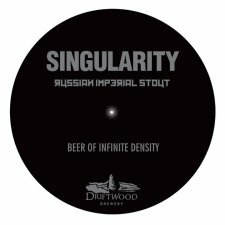 Singularity Russian Imperial Stout: beer of infinite density. Singularity checks in at 11.8% abv, and is available now in select BC stores.